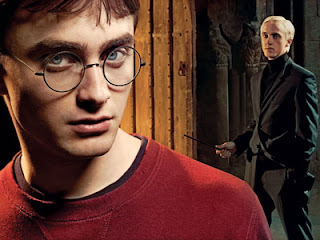 There may be one or two inhabitants of desert islands or Tibetan monasteries who do not know who the halfblood prince is, or which well-known Potter character dies in this movie, and it’s a matter of honour and Britsh reserve as much as common decency to let them discover for themselves. However, if you had forgotten, you will be able to refresh your memory this summer in cinemas up and down the land. 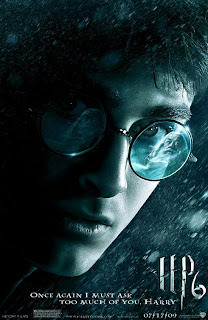 The Potter oevre continues to unfold reliably, with a few touches of fun but no major revelations or amazements this time out. Each separate film is a fresh pearl on the string, or whatever Stockhausen said about tone rows, so as well as consistency it needs development and individual colouring sufficient to stand up alone. 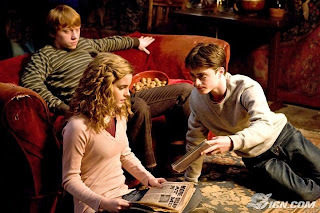 In these terms, this film is a bit flatter in tone than some of the series, but will probably not disappoint any but the most diehard Potterholics. One problem is that the climax of this movie, involving death of said famous Potter character, is clearly a set-up for the next outing. In years to come when all six, or seven, films are shown back to back, this will not be a problem. For now it leaves a slightly awkward taste in the mouth. The kids are great, and apparently the Vatican, after a slightly false start branding HP as Satanic Propaganda has now decided he is a Good Thing after all. The Obamas agree. Who wouldn’t? This week we are potion making, so, potion-making fans, you’re in for a particular treat. The kids, of all ages, are brilliant. Hogwarts is lumbering, however, through embarrased fumbling UK adolescence. As the wand work gets ever more ingenious and competent, our chums become more spotty and sweaty — a unique kind of bottled up, so embarrassed and, well, British, that it should keep the colonials chuckling as they stare in horror at the sheer repressed gormlessness of it all. Some bonkeroid neocon think tanks believe the Caucasian population of Europe is dooomed. One reason non-Caucasians are breeding so voracoiusly, if they are, is that, unlike the middle class Brits, they acquire the skill to ask a girl out before the age of 40. So, Hogwarts ain’t no Casino Royale. Buffy at the same age would have the lot of them for breakfast. But you probably knew that. The darkness quotient is sufficient unto the day thereof, but probably a tad lighter than last time out. We in our local fleapit, were delighted by a little voice among us at the end of some serious CGI fireworks in a cave piping up and saying “is the scary bit over now?” Even at the tender age of seven, she obviously understands how the genre works. There are a few genuine laughs on screen, too. It’s all very good natured. Whilst not exactly Christian propaganda à la Narnia, the conceptual and imaginative framework within which the story works continues to be almost entirely Western Christian love, sacrifice and atonement theology. Indeed we learn during this film that there is officially more power in the blood of Harry Potter than in the blood of Albus Dumbledore. Eat your heart out, Billy Graham. The marque is far from exhausted, however, and a big finish will be along in one, or perhaps two, movies’ time. I can’t wait but, sadly, I and several million others will have to. "Buffy would have the lot for breakfast." Too funny. Thanks for the well written article. I put down my thoughts as well on my blog earlier this morning.